Schwalb Entertainment offers a variety of accessories to inspire and make playing Shadow of the Demon Lord role playing game even easier. This large 50mm token is 4mm thick, and brings real weight to the table. 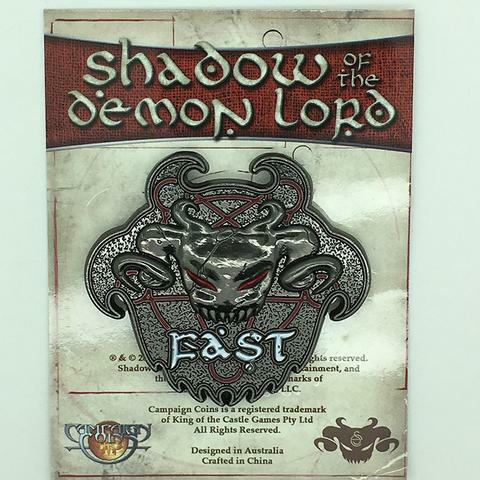 It can be used to track the Fast and Slow combat rounds, and the token features white enamel letters and red enamel sigils and glowing eyes. Not for the faint hearted. These tokens are emblazoned with the word Fortune. The top side features the Demon Lord symbol in magnificent 3D, while the reverse has the design in 2D, making it naturally lie flat on the table. Comes as a pack of 6 tokens. Charmed by a nymph? Frightened by a demon? Grabbed by a giant? 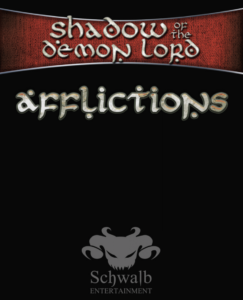 With this handy set of Affliction cards it’s easier than ever to reference their effects and keep track of them when they apply to you or your enemies! 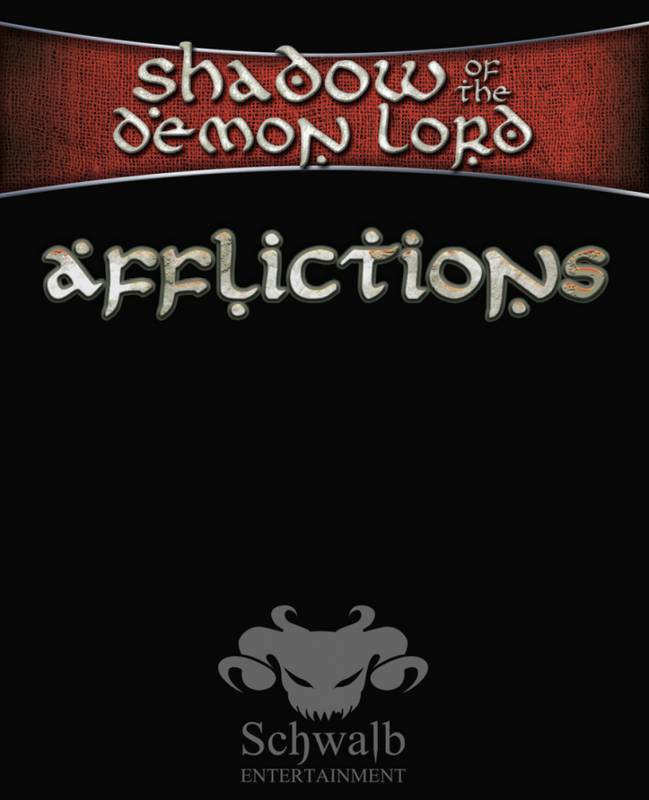 This deck of 21 cards include the 19 afflictions described in Shadow of the Demon Lord plus two cards to track what happens when you become incapacitated. Cast spells? 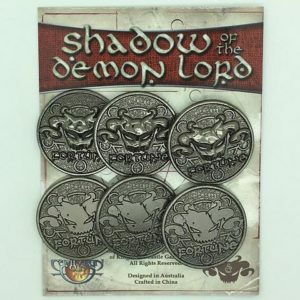 These Shadow of the Demon Lord spell cards capture all the spells in the main rulebook, with add-on packs containing spells from other supplements. 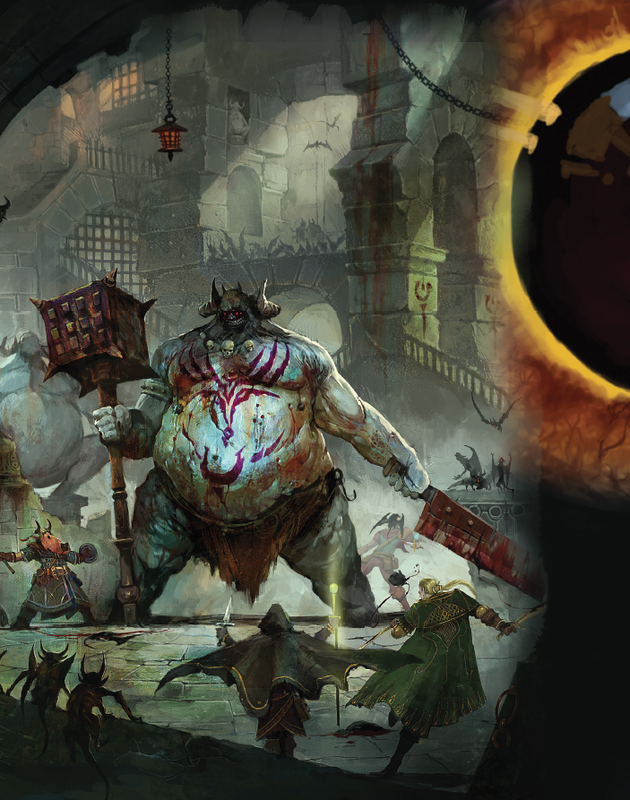 Get started with the core bundle and collect the rest on DriveThruRPG! Making your own screen? Do you have The World’s Greatest Screen (landscape) from Hammerdog Games? This PDF is just what you need. 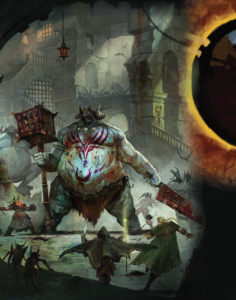 This download includes eight panels, four color panels featuring the delightfully evil art from Shadow of the Demon Lord and four color panels loaded with game content for easy reference. Grab the PDF here or on DriveThruRPG!